It’s time for your daily dose of beef! 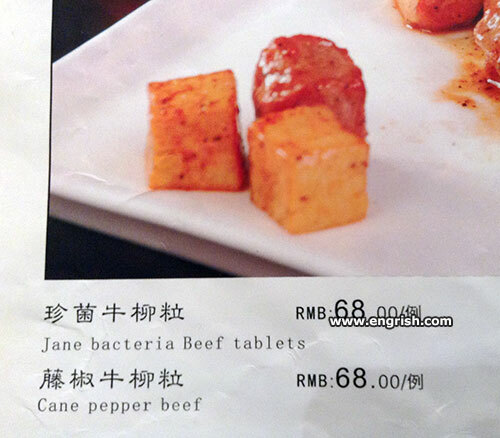 Comes with a course of antibiotics. I, Typhoid Mary, approve of this dish. It is just – Cayenne Pepper Beef. For they among you who may have sensitive stomachs. There were no actual bacteria used, in the making of this. The bacteria, were played by proteins, wearing kilts. Another one of these slice’m and dice’m joints. After the autopsy, Jane felt strangely relieved. The translation has a few bugs. I’d like to grow my own beef; where can I get some of those pepper canes? Those tablets are so popular, they’re going viral. If you prefer sea food, try the Salmon Ella. @EffEff: That sounds like a great name for a band.